Najnovším letným/jesenným trendom je hybrid vesty a saka. Podobá sa na vestu, ale strihom a dĺžkou je to viac sako alebo kabát, len bez rukávov. Môžete ich nájsť v rôznych podobách, ako hrubší a častejší variant z kože alebo z látky či ľahká vesta z jemného materiálu na leto. Takisto možností na ich nosenie je veľmi veľa. Napríklad na šaty alebo sukňu prepásané opaskom či jednoduchší look so slim nohavicami. Je to len na vás. The newest summer/autumn trend is a hybrid of vest and jacket. It looks like a vest, but with a cut and lenght, it´s more like a jacket or blazer without sleeves. You can find it in different variants, like thick and more common choice made from leather or fabric, or a light-weighted vest from light material for summer. There are also many possibilities how to wear it. For example, on dress or skirt belted with a belt or more simple look with slim pants. It´s all up to you. Love this! I have so many vests like this so I'm super stoked it is in fashion!! Lovely compilation of high fashion pictures ! Fantastic post! Love leather vests. Have a great day. 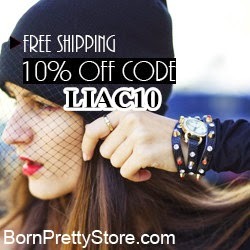 I love this trend.... amazing selection Lia!!!! Love these retro long vest back on trend once again:). I remembers back in the day when my Mom and Aunts were wearing these trendy when I was a child:) and I, myself have some in my closet, hopefully :). I can wear sometimes soon:). Thanks so much for the update trendy sweetie:). Wishing you a peaceful night over your place:). Sending you a kiss darling! (PS. I'm the once who late today). Yes I've been seeing a lot of these vest type jackets and they look so cute! I like them belted the most! I love the casualness yet the elegance these long vests bring! thanks for sharing! Great selection! I really love Rachel Zoe's version. Love that trend! I need one right now! You're totally inspiring me to get a long vest with all these great looks! Sending you more kisses and hugs sunshine:). Wish your day is going smooth:). Tnx for your lovely comment!!! Dear Lia, I have to admit that you inspired me with this trend so much that now I must immediately find such a vest :) Thanks a lot for the wonderful inspiration, I think such a vest is really versatile and can be combined with so many outfits that the buy is for sure worth! Good morning honey. Great selection Lia. I already have quite a lot of those vest/cardigans in my closet, so fall can come. Very chic trend dear! Love this. Amazing post! Love the sleeveless blazers- fabric ones! O yes yes! Totally digging these looks. I have been eyeing a few myself. So jackets are getting longer again, as in the '80s... Welcome back! Super!!! moc se mi líbí ta bílá na první fotce! Tento trend mě docela začíná bavit :-). Looks like a pretty great trend to get into. a lot of ways to wear this cloth! Have a lovely night sweetie! Sending you kisses and love:). (Just got home). Che bella selezione di outfit, mi piace un sacco. Anche la scelta delle foto è unica e bellissima. I love long coats too! Arent these fab! 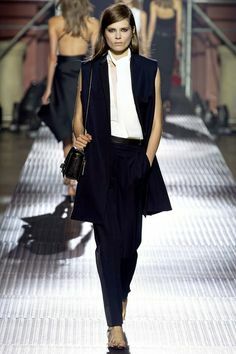 I've really been loving these long vests, they are so chic. I need to get one! Great picks, the vest is such a great look! I love this trend... I think the one from topshop is perfect! Love them and love your selection! Wow! Thanks for posting these great inspirations. I actually own a long vest but never wore it because I didn't know how. Now I'm inspired!